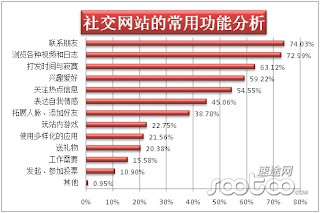 Two-thirds people login to a social media everyday in China, but there are only 3% people who are truly in difficulties that if they can't use any social media. 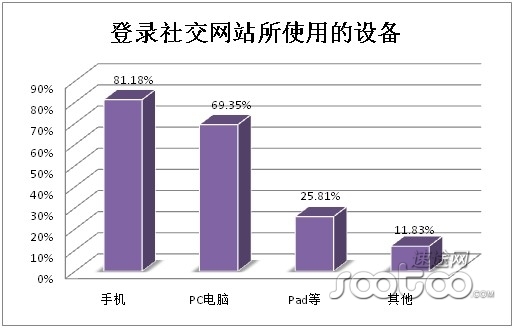 Chinese portal site "Sootoo" provided a interesting report as follows. Q1. How often do you login to a social media service? 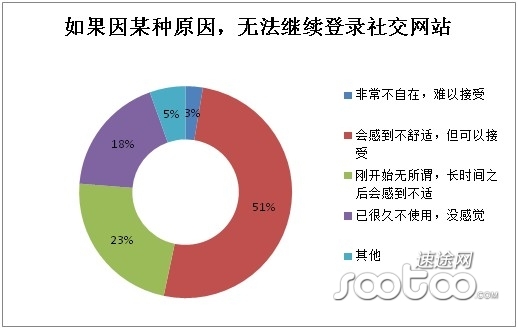 This report said that about two-thirds people in China login to an any social media everyday. 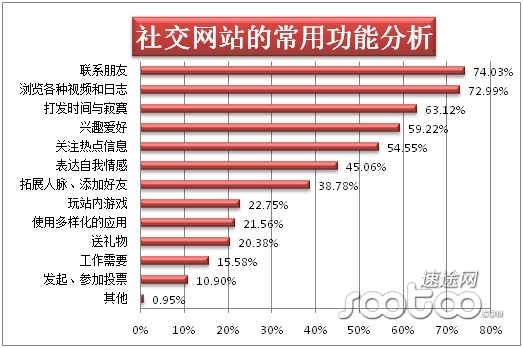 According to the latest report by CNNIC, many people use a any social media in China. So it can be said that this report followed up the credibility. Q2. How long times use a social media in a day? This report said that almost 80% people use a social media less than 2 hours in a day. Q3. Which social media services do you usually use? 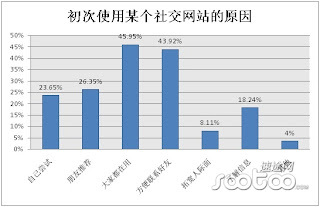 This result is very interesting. I thought that the ranking of WeChat is higher than Tencent Weibo, but the result was different at this time. 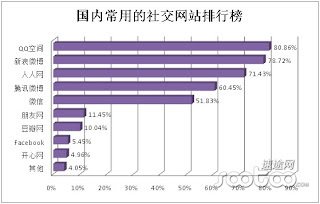 And other unexpected thing is that the utilization rate of Renren was higher than my expect. 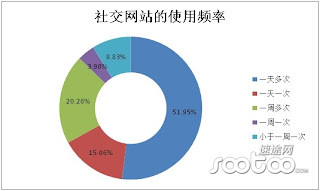 Actually, Renren is the biggest SNS provider in China, but the interests of Chinese people is moving from SNS to Weibo or WeChat in few years. 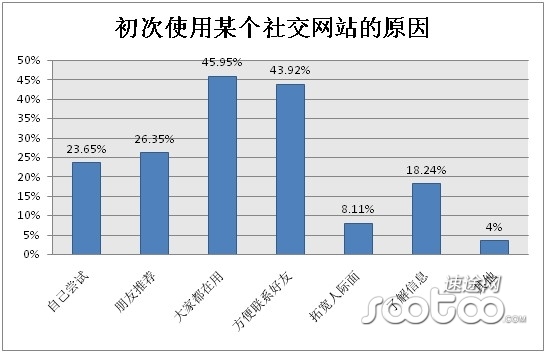 So its result is unexpected, and the big difference of RenRen and Kaixin's utilization rate was also unexpected. 4. Which purpose do you use a social media? Q5. 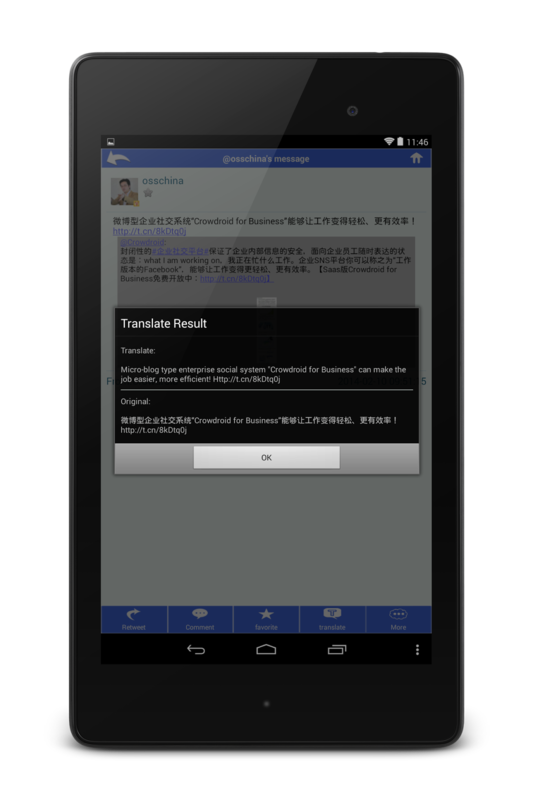 Which devices do you usually use when you login a social media? As I reported before, mobile devices is already the most popular method to access the internet in China. As a result, it follows that this fact also apply to in case of social media. Q6. Why did you start using a social media? 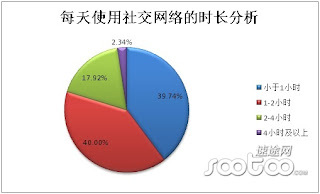 This result said that the almost half people started a social media by the reason related with friends. Q7. If you weren't able to use a social media, how will you feel? As mentioned in the introduction, two-thirds people use a social media everyday in China. But there are only 3% people who will be truly in trouble with not to use a social media. It's also an unexpected result.